Tell us about your role and how you got here. What inspired you to start a content management platform? 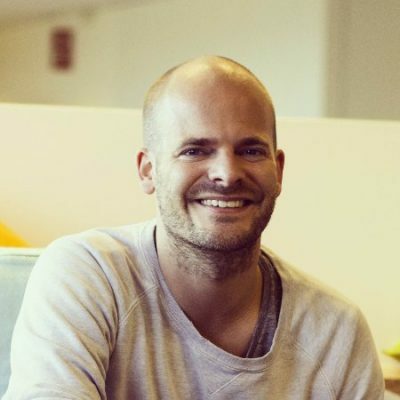 I’m the Co-founder and CEO of Showpad. Along with my Co-founder and Chief Product Officer, Louis, I set the long-term vision, mission and strategic direction for the company, try to attract the best talent and make sure everything that is needed is in place so we can execute our plans. At Showpad, we believe the buyer experience is key to winning, growing and retaining your business. At a high level, we want to make Sales and Marketing smarter and help them to dramatically improve the buyer experience. We help our customers make the transition from the old sales conversation, which is usually standardized and more feature driven, to the new sales conversation, which is highly personalized and all about providing new insights to the buyer. Our inspiration for Showpad came about seven years ago when a friend of mine was running into some serious Sales and Marketing challenges. His sales team was constantly using outdated materials and marketing and they didn’t have a clue what was happening in the field. He was complaining about an experience where he was at a German trade show and had to use French sales material, which didn’t work for obvious reasons. On top of that, he was printing Marketing and Sales materials out and shipping them around, which was both expensive and impossible to track. I felt like there had to be a better way. Showpad started as a mobile-first solution that’s grown into a broader platform for every device. We also have integrations with Salesforce and other leading Sales and Marketing technologies like Sharepoint, Marketo, etc. We built our company in Belgium and are therefore incredibly invested in the country’s tech community. Now, we have a global customer portfolio, offices in San Francisco, London and Portland, and are opening a brand new office and North American headquarters in Chicago. Are B2B Content Marketers the new-age leaders in sales conversations? B2B Content Marketers play a very important role in the sales process, but can’t drive leads through the funnel without the help of the sales team. Whenever you have sales organizations selling complex products, it usually means there are multiple buyers and a lengthy sales process with many different steps. For these Marketers and Salespeople to be successful, content has to be relevant and accurate for all buyers at all stages of the sales cycle. However, many organizations lack the insights and technology to make this a reality. Many Marketing teams create content that supports the digital buyer journey, and there’s a ton of tech out there that supports that. But what about the Sales channel? In many organizations, Sales is the forgotten Marketing channel. Our goal is to provide B2B Content Marketers with analytics and insights that help them optimize content for their sellers and buyers. We also enable sellers to have more relevant conversations, which improves the buying experience and ultimately brings in more revenue for their organizations. Technology is changing the role of sales reps, and even replacing their jobs in some industries. But when you are bringing to market more complex (B2B) products that are expensive, possibly require installation, implementation, service and price negotiation installations, there will always be the need for the human touch to get to a successful outcome. How should CMOs tie in their MarTech stack with latest content recommendations Engines? From our experience in working with many global CMOs and Marketing leaders, many have the right tools to publish and measure content effectiveness across their digital channels, but they don’t have the ability to optimize what is often their most important channel: Sales. They lack the capabilities to make Sales Teams more relevant and empower them to deliver a better buying experience by surfacing the right content at the right time. When you have the right content but aren’t sure where to use it, that’s where recommendations can play a role. For example, understanding that a buyer has already seen the spec-sheet can push you to start a conversation about additional features so you’re able to keep the conversation relevant while also providing new, interesting information. As Sales Enablement technologies mature, how do you see inside sales strategies evolve by 2020? For many companies, their inside sales strategies have become focused on ease of access to content and tracking how that content is being used. We expect that these things will be standard by 2020. For us at Showpad, we believe the next shift will go beyond just sharing content and tracking usage, and move more into being relevant, personalized and able to address buyer needs in the best possible way. At the end of the day, the sales experience that organizations are able to deliver and replicate at scale will become their differentiating factor. On that note, while the majority of the ABM (Account Based Marketing) discussion has been for marketers, we at Showpad are focusing on ABM for sales. There will be the same dynamic with Marketing Automation – how can we share content with a specific CMO, create a microsite for content and help discover new features and drive a more value-based conversation on top of that. This type of interaction is what we see as the future of sales. We’re focused on delivering the most innovative B2B sales and marketing success platform in the industry. With GDPR round the corner, how should businesses empower customers with the right information on products and services along the buyer’s journey? We welcome GDPR. Showpad has always focused on privacy for all of our users, and we only process data in the right way without collecting too much or exploiting the information we have. We’ve very much designed our platform since day one with privacy in mind. Ultimately, GDPR is privacy by design. If you bring out products built with privacy of both the end user and whoever is sharing content in mind, then this won’t be much of a system shock. As a company, we see GDPR as an opportunity to make sure we stand out as a platform in an increasingly competitive market. From the space we’re in, there is a lot of interesting things happening, and we’re paying a lot of attention to the “learning” part of the industry. We’re working with companies like MindTickle and Learncore, both of which are doing really interesting things when it comes to Sales Enablement and coaching reps with sales readiness. Another interesting startup we recently discovered is Chorus.ai. Its technology analyzes conversations and can provide coaching and guidance in real-time, which is an exciting new capability to have for Salespeople. This can help when coaching Sales Teams on their performance, but also in surfacing the right information and pieces of content and getting keywords in the conversation. At Showpad, we use a variety of technologies to aid our marketing process. We employ CRM systems, Marketing Automation, and sales predictive software with companies like Salesforce and Clari. Additionally, we use the G-Suite and Workspace for a lot of internal collaboration. These technologies are essential for our platform to function and for our employees to feel confident in their work. Rather than a specific campaign, a standout digital strategy for us has been our shift from generic PPC advertising to an ABM approach. Our target audiences were Sales, Marketing, and Business Development leadership at Ideal Customer Profile (ICP) companies and we measured leads, sales opportunities, and revenue. Campaigns targeting our ICP have dramatically increased our Lead-To-Opportunity and Lead-To-Revenue ratio, which is our ultimate measure of success. We often overestimate what’s happening in the next five years, but underestimate what will happen in the next 10 years. It’s important to keep this in mind as AI becomes more prevalent so that businesses can start to build a foundation to support the evolution of this technology. For example, Showpad already utilizes Machine Learning to make content recommendations based on what’s worked previously in the context of closed business – things like industry, job title – whatever is relevant to that business. Continuously informing yourself on the state of the AI market by reading and speaking with tech leaders will go a long way in preparing for each stage of AI adoption. WhatsApp is very important to me. I do a lot of calls internationally and need to be able to connect with people at Showpad wherever and whenever, and WhatsApp allows me to do that seamlessly and instantly. Additionally, Booking.com is a valuable tool. If I show up in a city or need to make a last minute business trip, Booking.com is a huge lifesaver. And finally, I couldn’t live without Showpad. 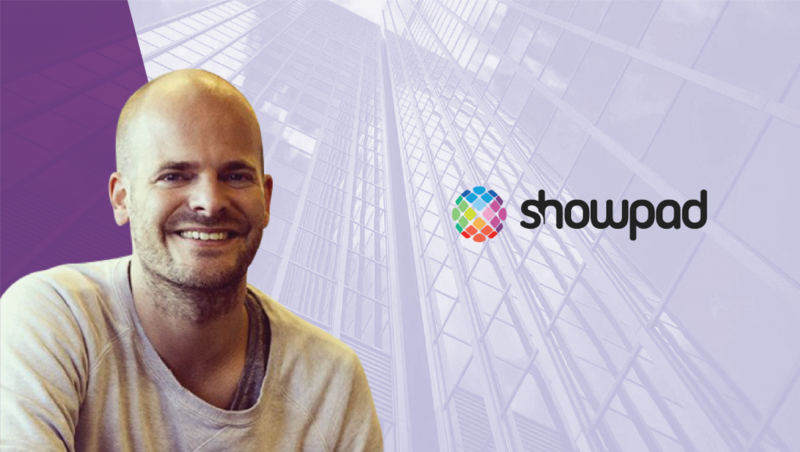 It goes without saying that I’m incredibly passionate about what we’ve built at Showpad, but from a technical standpoint, the solution has really helped our own business grow. Two years ago, I activated keyboard shortcuts in Gmail. This saves a ton of time, every day. I tend to read two to three books at the same time. I like having a variety of professional and personal books for business and pleasure. I just finished up The Subtle Art of Not Giving a F*ck by Mark Manson, which pushes you to really focus on what’s truly important. Additionally, I just read Tools of Titans by Tim Ferris, which provides a lot of insight around productivity. When I’m looking for more of a personal read to escape from the business world, I also like to read Dan Brown’s books. At Showpad, we’re always trying to learn from our customers to get more insight on their challenges and what they think about the industry. Therefore, I’d love to hear the thoughts of Melissa Cohoon, the Senior Manager, Marketing and Digital Product at SunPower. Thank you Pieterjan! That was fun and hope to see you back on MarTech Series soon. SaaS Entrepreneur with a passion for team, product and customers. Likes building and growing companies fromscratch. Specialties: Getting things done. Showpad is the world’s most powerful sales enablement platform focused on helping sales teams deliver the best buyer experience through smarter and more relevant conversations with their customers and prospects. Founded in 2011, Showpad’s intuitive and robust platform allows marketers to maximize their impact on sales success while empowering sales teams to have more personalized and impactful interactions. With headquarters in Ghent and Chicago, and offices in San Francisco, Portland and London, Showpad has helped more than 1,000 companies around the world improve sales engagement, including Johnson & Johnson, Fujifilm, Audi, BASF, Dow Chemical and Kimberly-Clark.